On 15 May, Nonhle Mbuthuma from ACC was allowed to be one of three “observers” when the Environmental Monitoring Committee (EMC) met at Wild Coast Sun. A journalist from SABC’s 50/50 was kicked out from the meeting. The EMC is supposed to control how Sanral is proceeding with Nazir Alli’s N2 Wild Coast Toll Road (N2WCTR) and its ‘Green Route’. Which department can stop Sanral contractors from dumping land fill in wetlands? Where do they empty their portable toilets? Is it in the rivers? Nobody knows. How large shall the fines be? Where shall Sanral pay them? 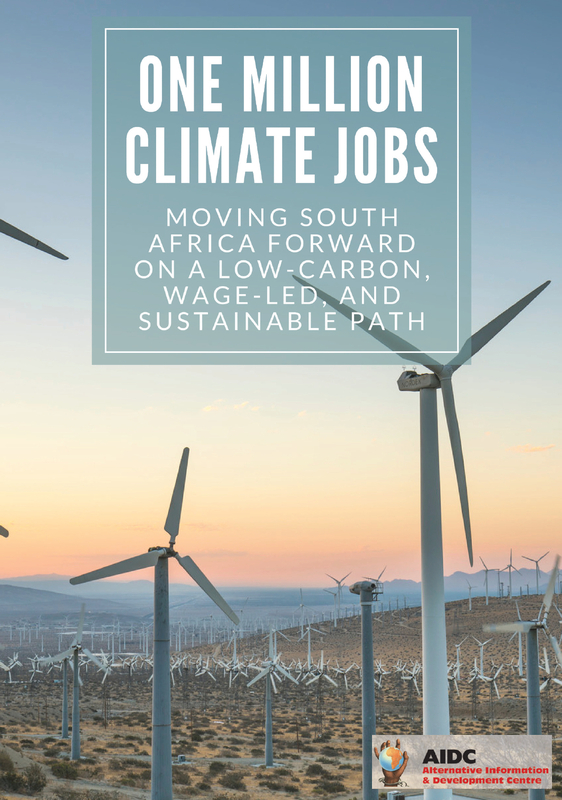 Sanral has not followed the “Biodiversity Offset Agreement” about plants and it has not paid over R300 million to Eastern Cape Parks & Tourism Agency. They should have paid it last year, and then in February and then in March. The payment is now “imminent”, again. Sanral’s McLahlan stated that Sanral has requested DMR to make sand mining legal in the Eastern Cape. The immediate reason seems to be the needs of N2 ‘Green Route’. 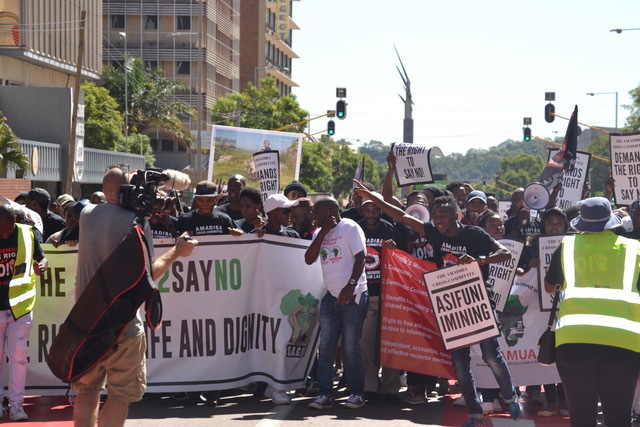 ACC comrades mobilize to say no to mining at a recent court case held in Pretoria. The Go Ahead of the Minister of Environment started a steam roller with no breaks. “Nobody has managed to interdict Sanral since 2010”, boasted project leader McLahlan. In other words, Sanral can break the environmental laws as much as they like. They will do what they want until they are interdicted. Conflicts are bubbling everywhere in Pondoland along the “Green Route”. At the EMC meeting, conflicts were reflected in the phrase “Not much work has been done”. The Australian mining company MRC says in the 2017 annual report that the start of the N2 on the Wild Coast has “enhanced the viability” of the ‘Xolobeni Mining Project’. The N2 is planned to enter Sigidi and Mdatya villages in Amadiba 3km from the coast line. The 15 May EMC meeting showed that Government departments and agencies are paralysed and unable to handle Sanral. Sanral is in substantial non-compliance with its Environmental Authorisation for the N2 Toll Road on the Wild Coast. 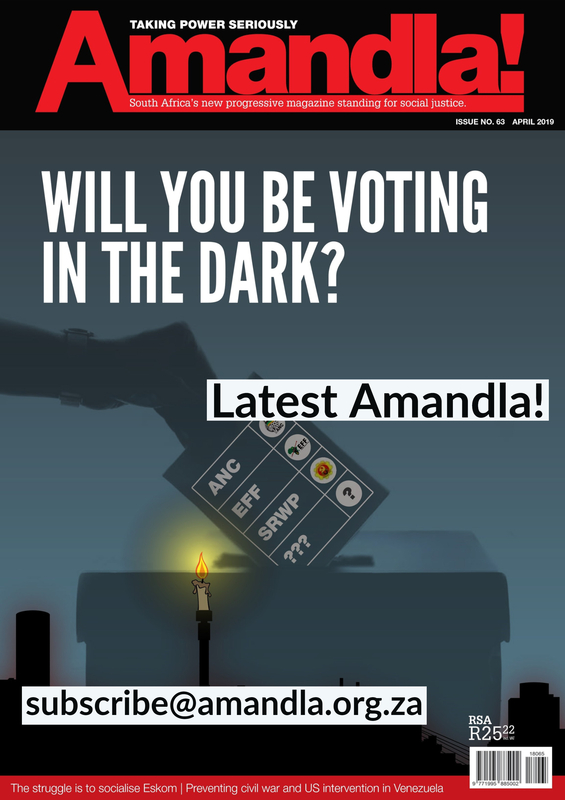 Amadiba Crisis Committee will detail this in a second media release. The case against the N2 Wild Coast Toll Road “Green Field” section: Cormac Cullinan; 0829299055 (Cormac Cullinan and Associates); Khanyayo Community demands on Sanral: Thami Malusi 073 632 8236 ((Richard Spoor Inc). 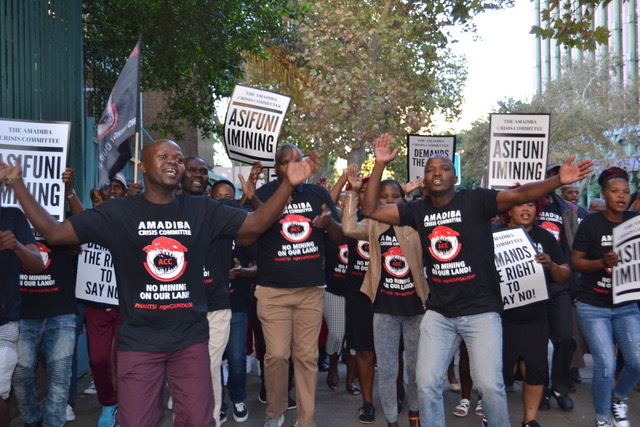 For the case against “Xolobeni Mining Project”: Attorneys Henk Smith 0832661770 (Henk Smith & Associates), and Johan Lorenzen 079 654 5038 (Richard Spoor Inc.).